Christmas Day walk in the Brecon Beacons. For the first time in 16 years Wellyman and I had a whole 2 weeks off this Christmas and what a joy it was. Apart from my Christmas Eve blog post I didn’t touch the computer for the whole time. There were lots of frosty mountain walks, we met up with some lovely friends and caught up with family, ate more than enough dried fruit in all of its festive guises and snuggled in front of the fire watching films and reading books. But, as I’m realising, the longer the break that harder it is to return to the real world, and the fact that it is January, my nemesis, makes it all the more difficult. Oh to be like Anna Chancellor’s character Lucia in the fabulous TV adaptation of the Mapp and Lucia novels, wafting around in a kaftan, picking flowers from the garden, painting on the beach and practicing Beethoven. *whispers* Between you and me, I’d be fine at the first two but rubbish with the brush and the piano. Instead I find myself ensconced once again in front of the computer, in my slightly bobbly cardigan clutching a cup of tea as the light fades. New Year’s resolutions might not be everyone’s cup of tea but for me they’re one way of motivating myself and giving me a sense of focus. I’ll be celebrating a significant birthday this year and I’m only too aware of how quickly time seems to pass. I know how easy it is once the routine of daily life takes over to forget to book those tickets for that play, or to sign up to that course that caught my eye. Probably the best bit about having a long break this Christmas meant I had a chance to clear my head. For the first time in months, maybe even a year, my brain didn’t feel like it was constantly whirring with thoughts about work, the house, moving, shopping lists etc. For me New Year’s resolutions should be an encouragement to do the new and interesting or to pick up something I haven’t done for a while rather than a stick to beat myself with. They should be goals or aspirations but if they aren’t achieved I don’t feel as if I’ve failed. In fact we’re only 7 days into 2015 and I’ve already foundered with one of them. The great thing though is that there are another 358 days left to give that particular resolution a go. – juggle more. Wellyman taught me to juggle when we first got married but in recent years I’ve let my practice slip so much so I can’t remember the last time I picked up the juggling balls. I was always in that forlorn group of kids left to the end when team sports were being picked. It was fair enough to be honest, I was pretty rubbish when it came to hand-eye coordination. I was always more concerned about self-preservation partly due to a rounders bat in the face on one occasion and being taken out by a basketball to the head on another. So it was a huge surprise when Wellyman showed me I wasn’t a lost cause when it came to throwing and catching. It’s fantastic exercise too, particularly when you’re learning as you spend most of your time picking up the balls that you keep dropping. – read more. This is one I haven’t had great success with so far this year. I was lucky enough to receive this fabulous stash of books for Christmas. Before Christmas I had developed the naughty habit of working through my lunch break, sandwich in hand showering the keyboard in crumbs, so my plan for 2015 is to spend 30 minutes at lunchtime reading. So far, after only 3 days back at work, the plan hasn’t worked but I’m hopeful that I’ll achieve it at least some of the time. – make more. Rather than dwell on the number of years I’ll be celebrating this coming birthday I’ve decided to use it as a spur to try my hand at a few new crafts I’ve always wanted to learn. There’s book binding, willow weaving and how to navigate my way around a sewing machine for a start. 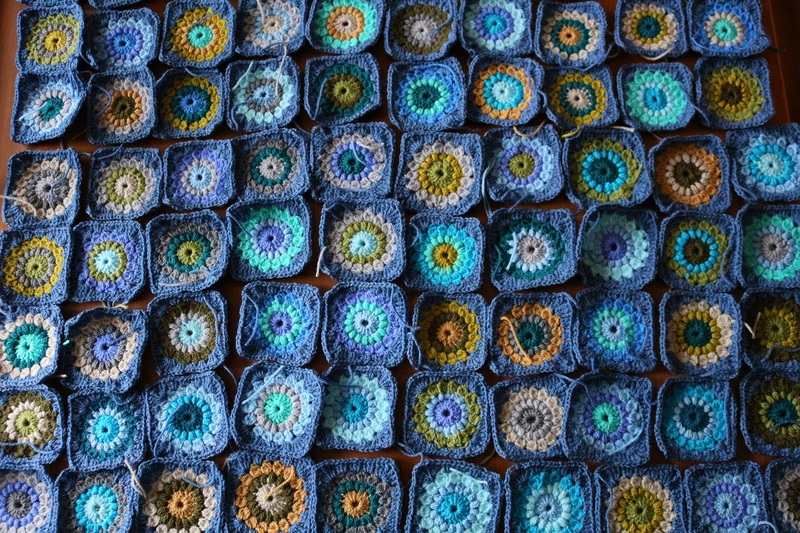 Hopefully there will also be the completion of my winter project of a crocheted blanket. I’m at about the halfway stage at the moment and starting to think if I ever see another granny square it’ll be too soon. So where does growing fit into my plans for 2015. Well, I have a feeling it’s going to be a year where my plans have to be very flexible. I’m keeping the allotment for the foreseeable future at least, and I’ll be trying to treat spring and the early part of summer as normal, after that, well, who knows. If I need to dig up and move a cut flower patch mid-growing season well so be it. My blog posts may be a bit less welly/garden based this year as a result of possibly moving so I hope you’ll bear with me. It’s been quite hard reading about everyone’s plans for the forthcoming gardening year on twitter and blogs when I feel in such a state of limbo myself. In some ways the resolutions I’ve picked are a way of distracting myself from this state of mind and forcing me to stay positive about the year ahead. I do have plans though for a series of blog posts entitled ‘Inspired by Nature’ so I’m looking forward to writing those, hopefully you’ll enjoy reading them. There was a time when plant names were long-winded descriptions of a plant’s most notable features or vernacular monikers which might have only been recognized in a small geographic area. Some native plants have, as a result, a remarkable number of names by which they could be known. Arum maculatum or lords and ladies has, according to Richard Mabey in Flora Britannica, another nine common names including ‘Parson in the pulpit’ and ‘Willy lily’. Even over five hundred years ago, when discussing and writing about plants was limited generally to a select few, these methods must have been incredibly tiresome and not at all foolproof ways of identifying plants. Casper Bauhin (1560-1624) was one of the first scientists to devise a more structured way of identifying plants by giving them two names, but it wasn’t until the 18th century that Carl Linnaeus took the idea and ran with it. He set about the task of classifying all living creatures, now known as taxonomy, and giving them a genus and a species name in Latin, a bit like our surname and Christian name. There’s no doubt his system has been incredibly useful. If we just relied on common names confusion would be widespread. For instance, in Scotland a plane tree refers to the sycamore or Acer pseudoplatanus, in England the plane tree generally means the London plane tree or Platanus x acerfoila but in North America their own native plane tree Platanus occidentalis is commonly known as the plane or sycamore. And, grouping plants together based on shared characteristics has many benefits, from knowing the sort of habitats plants might share to similar chemical compounds which could be useful when creating medicines. Latin was always the language of science, universally recognised and accepted, and this has allowed scientists, botanists and horticulturalists to share knowledge and plants without the encumbrances of language barriers. However the system is by no means perfect. Whilst Latin may have been embraced by scientists us gardeners haven’t been quite so enthusiastic. So many of us are put off by Latin names as if they hold some mystical quality about them that means the Latin is only for academics. If you do use the Latin there’s always a worry you’ll sound pretentious or you simply won’t be able to get your tongue around the words. I still can’t pronounce the grass anemanthele (pheasant’s tail grass) without sounding as if I’m trying to teach it to a five-year-old by breaking it down into syllables. And then, just when you think you have mastered the names of the plants in your garden, groups of botanists go and change them to something else. The subject of name changes came up last week with Christina over at My Hesperides and she suggested we should both write posts on the subject. The ‘Rule of Priority’ is one reason for name changes. Hostas were first named as such in 1812 after the Austrian botanist Nicholas Host but five years later they were renamed funkia after Heinrich Funk. Right through Victorian Britain they were known as funkias, but in 1905 under the ‘rule of priority’, which states that a plant must be known by the earliest published name, the name hosta was reinstated. 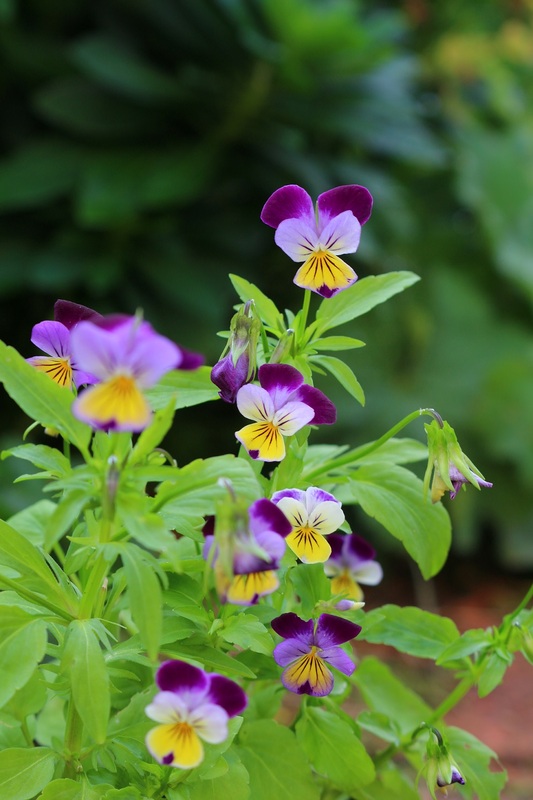 Most name changes which are occurring now are due to improved scientific research and the desire to categorize plants based on genetic information rather than the opinion of individual botanists. In the past, plants were grouped together generally on the basis of shared visual characteristics of the plant, seeds and how the plant reproduced. Botanists are now reclassifying many plants as improvements in microscopy, biochemistry and genetic research improve the understanding of how plants evolved and relate to each other. It has been only in the last year or so that I have become aware of just how important a regulated and agreed universal system of botanical names actually is. Writing a book which will be sold in other countries has certainly opened my eyes to the complexities of plant naming and the importance of people knowing which plant you are referring to. Despite the Latin system it’s surprising how many plants are still known more readily by a common name, sometimes this can be complicated further by some names being used only in particular countries. Then, of course, there are some plants which have no common name and the Latin is the only way we know the plant. What we’ve ended up with is a remarkably confusing situation which has been complicated further in recent years with the advent of DNA research. 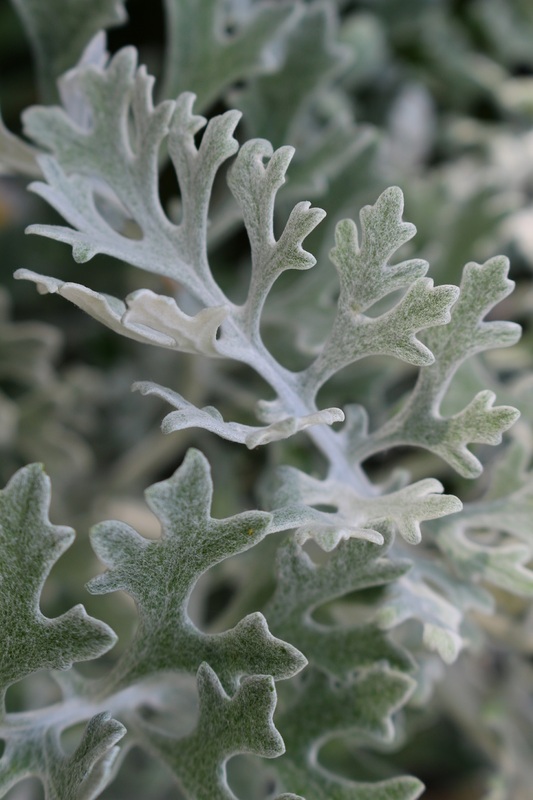 For instance, the silver-leafed plant Senecio cineraria more commonly known, particularly in the US, by the name dusty miller should now be known as Jacobaea maritima. Then there are the Michaelmas daisies, Aster novi-belgii and Aster novae- angliae, which it has been decided will now be known as Symphyotrichum novi-belgii and S. novae-angliae and Schizostylis coccinea, or the kaffir lily, which now goes under the name Hesperantha coccinea. For my books my editor uses the RHS Plant Finder and/or RHS A-Z Encyclopedia of Garden Plants as her guides but even then life isn’t simple. The house style of my publisher asks that a plant has the Latin name used when the plant appears in the text for the first time and then subsequently it can be referred to by the common name. But which common name to pick? Would you know what ‘Harry’s walking stick’ is? Well I didn’t. Turns out it’s another name for contorted hazel. Fortunately there is a degree of flexibility and I have a very understanding editor, so we went with contorted hazel in the end. So who decides what name a plant will go by? Well, committees of botanical experts meet to discuss potential changes every 5 or 6 years at the International Botanical Congress. Often a botanist will suggest a plant doesn’t belong in the genus it is currently in but it can take years 20 or 30 years in some cases before the idea has picked up enough momentum to be accepted. Changes can also be blocked if it’s believed it could be detrimental; crops in particular tend to be protected from botanical name changes. Imagine the impact name changes could have on areas of the horticultural trade. If, for instance, the name of petunias changed, as was suggested at one point, how would this affect the vast business in bedding plants? Would they continue to use the name petunia thereby making the change seemingly pointless or adhere to the new name and risk losing business if customers didn’t know what they were buying? So what does all this mean for gardeners? Certainly the need for a regulated and universally accepted system of plant names has never been greater and not just for scientists. As many more gardeners are communicating about growing via social media and blogs we all need to be able to know which plants were are writing about. It does seem to me a little odd though that the system we have means it is easier to revert to a plant’s common name despite all the inherent problems this can cause. And as plant names come under further scrutiny with changes arising it seems more likely that we will continue to use common names. Some plants now have two Latin names, the old one and the new one, and a multitude of common names. I’m not sure this is the ordered system that Linnaeus had in mind. However, I do see that plants placed in groups based on their genetic make-up seems the most logical and useful way of classifying them. Human nature is generally conservative, we rarely like change and certainly change that makes life more confusing or difficult, even if it’s just in the short-term. I was of a generation which was taught metric at school but I have parents who still use imperial, as a result I have grown up using a mix of both and still favour imperial in certain circumstances. It shows that just because it has been decided that something is the accepted and recognized way of doing it, it can take a long time for changes to filter down and be used by everyone. In the mean time there’s a muddle where both systems have to run alongside each other. 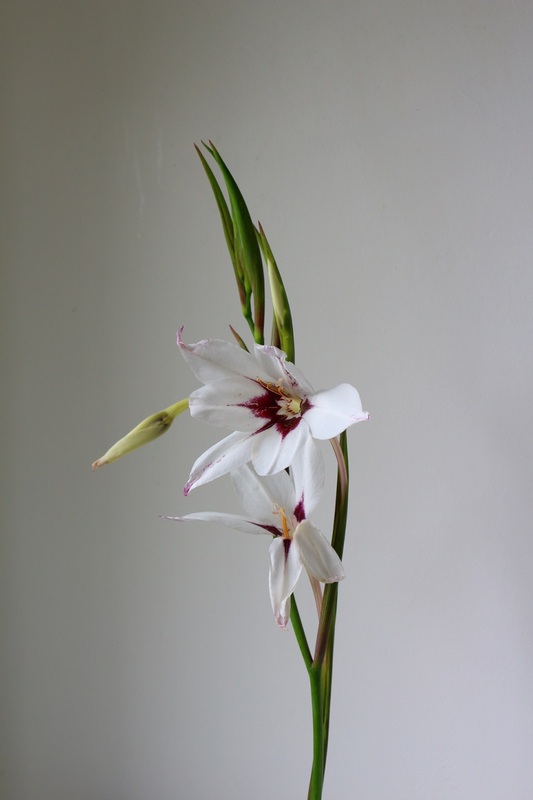 Acidanthera is no longer and should be referred to as Gladiolus murielae instead but how many bulb catalogues have made the change? How long it takes for name changes to become accepted outside scientific circles is hard to know but one thing we can be sure about is the world of taxonomy is going to get a lot more confusing. Just a quick post to thank everyone who entered last week’s book giveaway for a copy of my book The Cut Flower Patch. 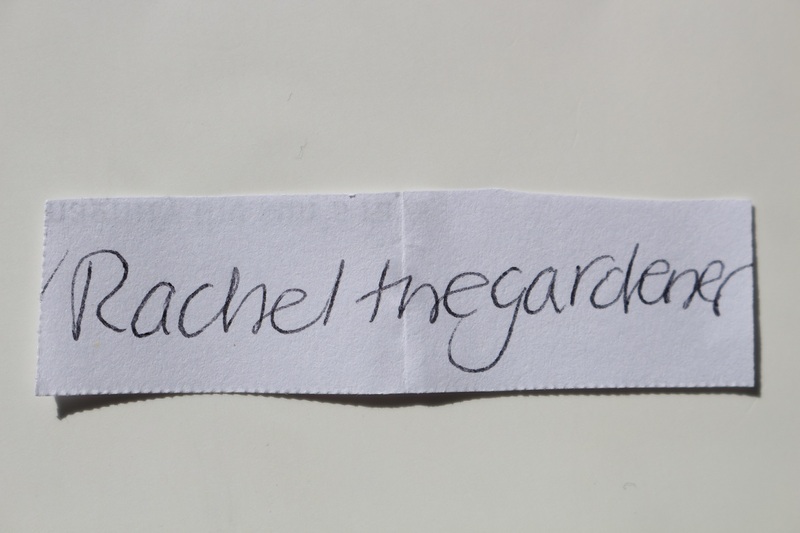 The lucky winner is Rachel the Gardener. Congratulations! A book should be winging its way to you soon. The recent French Gardens programme by Monty Don has been a real treat. Stunning gardens and scenery and an engaging presenter . . . oh, and lots of sunshine. For an hour I was transported to somewhere warmer and sunnier. In fact, the only downside to the programme was that when it finished, the reality of it actually being February returned. I can imagine bookings of French holidays have increased as a result of the programme. I’ve been captivated by France for a long time now. I studied French at A’ level and was introduced to the delights of French literature and film. I was less enamoured by French TV which my teacher would record and make me watch in class. These programmes were generally hosted by Antoine de Caunes, (he of Eurotrash and Rapido fame), and were bizarre to say the least. It didn’t help that I only understood every few words and the content was generally so distracting I don’t think it did anything to boost my vocabulary. Despite being fascinated by the country I’ve only ever been to France once. My one and only Gallic experience was whilst at university. I was nursing a broken heart and a couple of friends invited me along on a short break to Paris to cheer me up. Admittedly three days in the capital city of romance with three platonic friends, visiting the classic tourist sites and being surrounded by loved-up couples might not seem like the obvious way to get over heartbreak. It did the trick though. Monty’s programme brought back happy memories. Back then, at the age of 20, gardening wasn’t the all-consuming passion it is now but two of the strongest memories I have of the trip are plant related. I was so surprised that Paris was such a green city, which wasn’t my experience of British urban areas. There were trees everywhere you went, lining the boulevards and giving Paris a light and airy feel even in the heat of summer. It seems, thanks to the imagination of botanist and garden designer Patrick Blanc, who creates incredible green walls, Paris is now even greener than when I visited in the late nineties. 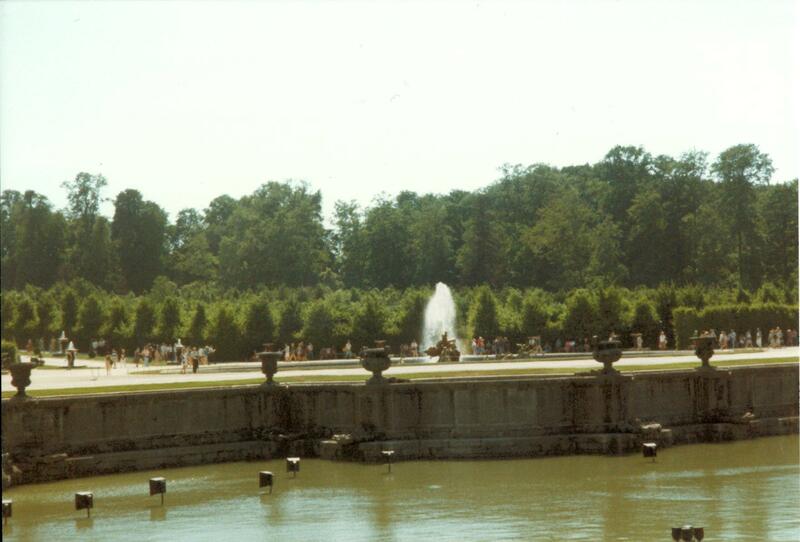 My other memory is of Versailles. Our visit there hadn’t been planned. We were at a Metro station and discovered we could get to the palace from there and for a few francs. So off we went. It was a blisteringly hot day and for some reason we didn’t actually go inside the Palace, instead we wandered around the back and were greeted by the jaw-dropping sight that stretched out in front of us. It was the sheer scale of the enormousness of the clipped hedges, the boating lakes, the planting, everything. It was as if the garden had been created for giants. 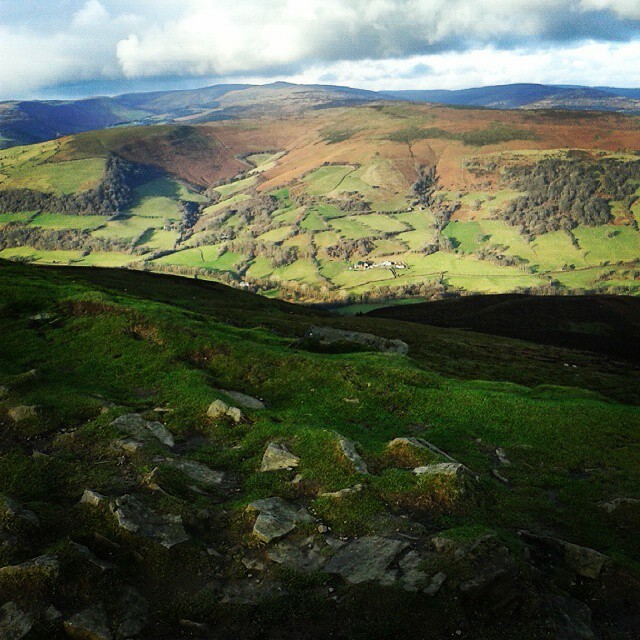 It took our breath away and it all went on for miles and miles. People were dwarfed by the vast proportions and looked like ants. 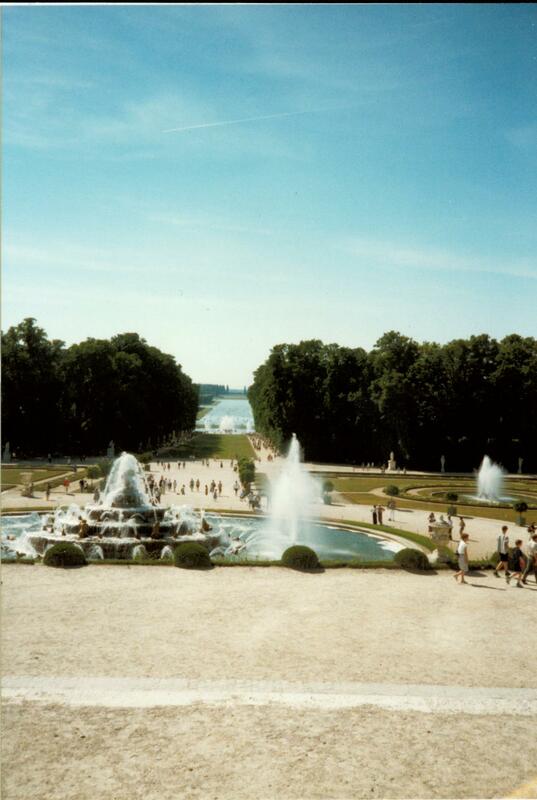 Since then, I’ve seen gardens that are more beautiful than Versailles, but for sheer grandeur nothing has matched it. It’s strange how some memories stand out. 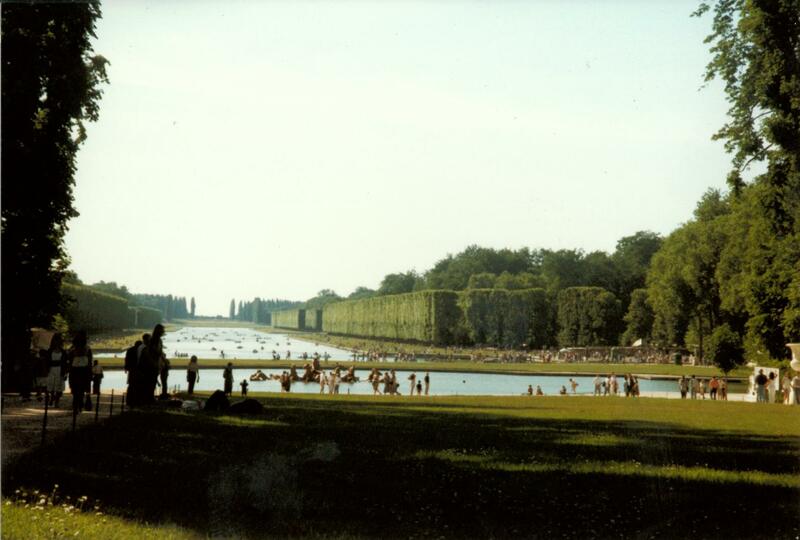 I dug out some old photos when I thought about writing this post and couldn’t remember other aspects of the trip but that afternoon at Versailles has stayed with me. The blue skies, the heat and lying on the grass of the vast avenue listening to a French radio station on my Walkman. I had one earphone, my friend Faiz had the other and Children by Robert Miles was playing as we stared out across the scene in front of us. When I hear that track now I’m immediately transported back to Versailles. Monty’s series has awakened a desire to return to France and particularly to Provence. I read the books Jean de Florette and Manon des Sources by Marcel Pagnol for my A’ level. Set in Provence, Pagnol captures so evocatively the sights and sounds of the countryside. He was born in the area and his love of the landscape and flora and fauna is obvious from his descriptions. Jean de Florette, and it’s sequel Manon are tales of struggle and revenge and follow a man and his family when they move back to his home village to farm the land. They are wonderfully crafted stories which were turned into films in the 1980s. Directed by Claude Berrie, the cinematography is sublime. You can almost smell the lavender and the sun-baked ground. Gerard Depardieu plays the title role, Jean and with the poignant music , they are perfection for me, in terms of film. I don’t want to give away the story for those who may want to watch the films or read the books but everyone who has grown their own will understand something of the struggle Jean faces. There is a scene in the film where Jean is tormented by the rain and the effect it is having on his crops. It’s a scene all growers will empathise with. Ever since I read these books it has been my dream to visit the area. Nearly 20 years later and I have yet to go, but maybe Monty’s programme has ignited the desire enough for me to actually start planning a trip. Wellyman quite likes the idea of hiring a 2CV but is less keen on copying the youthful Monty wearing a beret. English translations are available of Marcel Pagnol’s books and the films are still available on DVD. They have subtitles and I can’t recommend them highly enough. One final recommendation. For a witty and cheeky take on Monty’s recent series take a look at The Sea of Immeasurable Gravy blog, it will make you giggle. I’m not sure the courier delivery people that visit my home understand the levels of excitement that greet them. The other day I felt the need to explain what was in the parcel to justify my reaction. Strangely when I told the delivery man it was a heated propagator he still didn’t seem to get why I should be grinning so much. I did start to tell him about the benefits it was going to bring but, as he started to inch away from the door, I realised he wasn’t a gardener. It’s funny how I just assume everyone is as into plants as I am. For me it’s such a fundamental thing. I look at gardens that are just bare lawn, or worse, and simply cannot understand why you wouldn’t want to run out and fill it with as many plants as possible at the first opportunity. Then there are the times when I’m at a party and I start chatting about plants and I can see eyes start to glaze over. I’ve recognised they haven’t got the bug before they then say something along the lines of, “I don’t do gardens”. Fortunately though I discovered blogging; a little late, admittedly, since some of you out there have been at it for 5 years now. 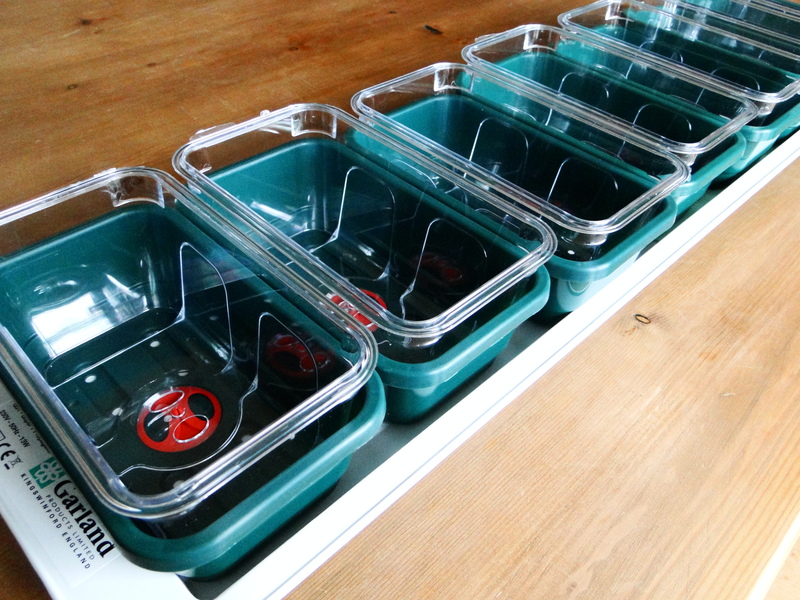 At least here I can rabbit away about plants and gardens and know there are people out there that understand why I would get so excited about a heated propagator turning up on my doorstep. I have toyed with the idea for a while now but wasn’t sure how much use I would get from it. But, after a difficult spring last year trying to get some seed to germinate I decided to go for it. Window sills can get quite warm, even at this time of year when the sun is shining on them, the problem is it isn’t a constant temperature. Whilst a lot of seeds, particularly hardy annuals, don’t really need much heat to germinate, half-hardy annuals such as tomatoes and chillies prefer a constant temperature of around 20˚c to spring into life. They also require a long growing season if they are to fruit successfully in our climate and need to be sown in February. It’s not impossible to grow these plants from seed if you don’t have a heated propagator but it does help. It’ll be interesting to see, over the course of the next couple of months, how much of a difference the propagator will make to germination rates and the choice of plants I can grow. 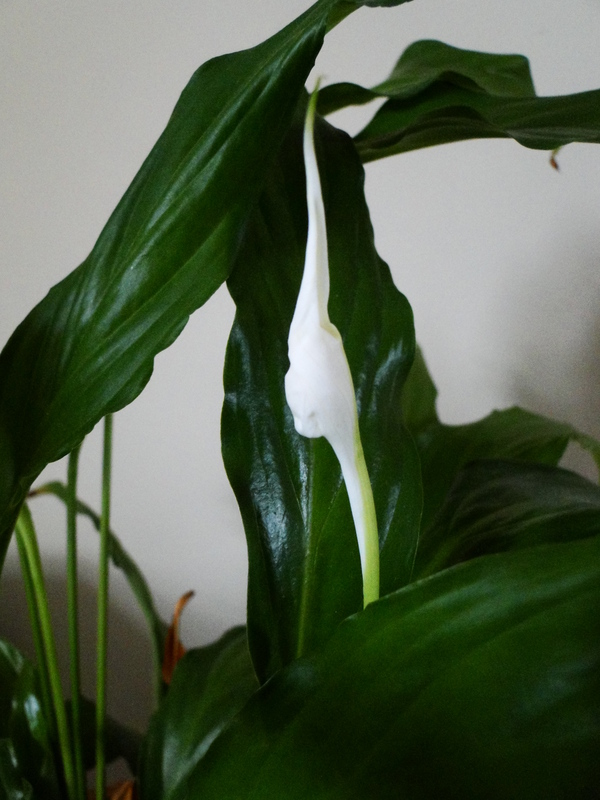 On a completely unrelated subject but which caused a similar amount of excitement was the discovery that my peace lily has produced a flower. I bought the plant 5 years ago, and apart from the flowers that were on it at the time, it hasn’t flowered since. I can’t say I’ve done anything differently recently that might have triggered it to finally produce a bloom. In fact, after years of TLC producing nothing remotely flower-like I resorted to a level of care just above neglect. Maybe that’s the key, perhaps I have to treat this peace lily a little bit mean. I bought my propagator from a company called Two Wests and Elliott. It was recommended to me by my college tutor a few years ago. We were all intrigued by the name when she told us about them. The company was established by husband and wife, Christopher and Josephine West; Elliott was their dog. I try to keep my posts to all things plant related, whether it’s walking in the countryside, reading gardening books, growing plants or, even better, eating them. Now I can add writing about them to the list. I could never have imagined last autumn when a publisher said they loved my idea for a book what it would have involved. Of course, at the time I thought I did. But isn’t that always the case with something new, because if we did fully understand the process we’d probably never do it in the first place. Instead we fall into things with differing degrees of naivety, discovering along the way whole new worlds that had previously been off our radar. For me writing this book has been a pretty steep learning curve. Previously I hadn’t had anything to do with the world of book publishing. I’d had some experience of research and writing long documents when I was at university but, other than that, nothing. Over the last few months a plethora of new words and phrases have appeared in documents and emails that I have never come across before and gradually the realisation has dawned on me that writing a book is not just simply getting some words on to a screen. I’m developing a whole new appreciation of the work that goes into producing the books I love to read. It becomes a slightly obsessive process, partly because it’s not the sort of job that you can leave in the office on an evening and go home and forget about it. Ideas crop into your head whenever and wherever. As a result I have pieces of paper with frantically scrawled notes to self dotted about the house which, invariably, I can’t understand by the time I get round to looking at them properly. Because the book is about gardening and I’m growing all the plants for it, my usual, pre-book plant obsession has only multiplied. As the months progress this will be matched only by my increasing preoccupation with the weather. This time last year I had no idea about the complicated world of rights and permissions. That means trying, and generally failing, to secure the OK to use material, be it a photograph or text from another source in your own book. Just trying to track down who owns the rights to a particular book or photograph is a task in itself and I’ve spent whole mornings in email conversations on the elusive trail of a particular sentence. All of which so often ends in frustration. I have had to come up with a list of photographs I’ll need. So a rough draft of the text so far is covered in red pen indicating where I think a photo is needed and although I’m writing this with the benefit of spell check, it is, of course, not foolproof. For some reason my fingers insist on typing ‘form’ when I mean ‘from’ but as the former is a correctly spelt word spell check is useless. It’s surprising how many of these little things slip through. It’s crazy now to think that all of my university assignments were hand written and my 10,000 word dissertation was typed up on an electronic typewriter with a tiny screen that only showed four lines of text at any one time. There was more than one occasion when ‘Boris’, as the typewriter was known, was nearly launched from my bedroom window with sheer frustration. Then there has been the quest for prop materials for the photos. I’ve discovered that spending several hours on cold, wet Sundays wandering around flea markets and reclamation yards is a surprisingly absorbing pastime. And there was the serendipitous introduction to a local builder on one of the aforementioned sorties which resulted in us following him along country roads to his farm. There was much consternation and amusement that I should want something he was going to get rid of as scrap. But when I explained he very kindly gave me just what I was looking for, a sheet of corrugated iron, and we spent a while chatting about his farm and his late wife and her love of gardening. By the end of this summer I will have discovered what ‘box prominent’ and ‘box recessive’ mean, I’ll have proof read around 45,000 words and I’ll have worked out how to write an index. Apparently, there are some people who write indexes professionally. Another fact I hadn’t come across until recently. I’m loving the whole process, though. I’ve always wanted to do something that was even just vaguely creative. I did once crochet a hat for Wellyman which he still wears today but I was still frantically finishing it one Christmas Eve and had developed repetitive strain injury in the process and so never really went any further with that. I also have no musical ability whatsoever and have no real skills on the drawing/painting front to speak of. But, for once, I feel like my creative juices have found an outlet and it’s brilliant. So, if I disappear from the blog occasionally over the next couple of months you know where I am. I’ll be buried in my study, surrounded by illegible notes trying to find the ‘en dash’ symbol. How could I reach my mid-thirties and have never come across an en dash before? It’s a longer hyphen for all those who are as mystified as I was. I wrote a while ago about my allotment and what it means to me. Shortly after that it appeared that there would be large hikes in the rent and there was a worry that the site might be sold. Whilst the management of the site is undergoing some upheaval, rent rises have been put on hold and selling the site is not on the cards. 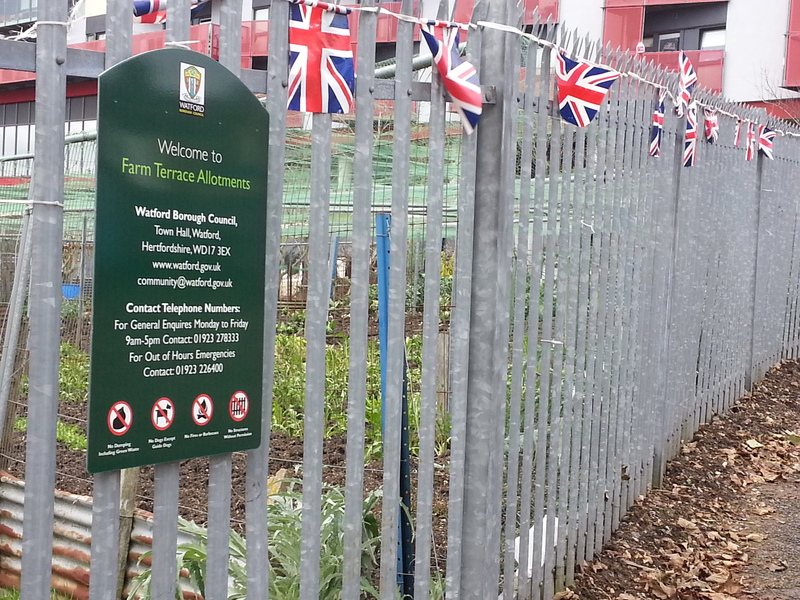 It’s a different story for the allotment holders of Farm Terrace Allotments in Watford, though. In June 2012, the mayor of Watford Council, Dorothy Thornhill, wrote to allotment holders telling them that they were considering selling off the allotment site for development in conjunction with other land. The developers would build 600 new homes, with about 60 of them on the allotment site, and retail space and, in an agreement between them and Watford Council, potential profits would then be used for the regeneration of Watford General Hospital. Six months later, the council voted in agreement of the proposal. It was suggested that allotment holders at Farm Terrace would be offered plots at another site some 2 miles away. It’s a sad story but, unfortunately not an uncommon one. Land is at a premium, especially in urban areas where there are pressures on any space that is not already built on and, as green spaces go, allotments seem bottom of the pile when it comes protection from development. When it was announced that the current government planned to sell off our woodland in an attempt to raise money there was an enormous outcry. How could they even think of it? The resulting campaign was so successful the government backed down. I imagine if they tried to do the same with our parks the nation’s response would be the same, so why don’t we all get behind the plight of threatened allotments in the same way? Well, maybe because we don’t all have one or because we aren’t interested in gardening or that the issue is very specific to a particular area and doesn’t then get national coverage. The situation with Farm Terrace though, is symbolic of so many other problems facing our country that it should be of interest to us all. Allotments really are a unique part of our heritage. I would spend childhood holidays travelling the long journey from the north-east to Cornwall with my nose pressed up against the window watching in fascination as the allotment sites whizzed past. The little worlds that were created, with their sheds and crop protecting contraptions, intrigued me so much. Then there were the days spent at the allotment of a friend and his dad. I can still see us playing in the greenhouse with that warm, damp air and the smell of tomatoes that was so potent. Why allotments are treated with such disdain by councils, politicians and developers I don’t know? We’ll give dreadful pieces of architecture that nobody likes listed status, protecting them from the demolition team, and yet small patches of land, vital bits of green space that give people a sense of belonging, that give them the opportunity to grow their own healthy food and to get fresh air and exercise while doing it don’t matter. I know, instead we’ll build yet more ‘homes’ that are so poky and unattractive and have no outdoor space of their own, oh and I’ll throw in yet more shops because we really need more of them. We do need good health care facilities and providing them isn’t cheap, so when businesses step in and say they will contribute to these costs it’s no great surprise that our leaders have jumped at the chance of this private investment. The problem is it does leave us exposed to those with the power and in today’s world this is big businesses. These companies deal in the realm of profit and loss and the problem is not everything in life can be measured in these terms. Libraries are closing across the country, deemed not to be not worth the expense any more, and yet what could be a greater expression of a civilised society than these places of learning and their resources that are free to all. For me, allotments too are a symbol of a society that understands and appreciates what makes for good and happy lives. To allow allotments to be concreted over when the government is constantly going on about the need to eat healthily and tackle obesity is like selling off school playing fields but spending billions on hosting a huge sporting event. Allotments should not be treated as if they are just another scratty piece of land ripe for development. They deserve to be protected as part of our cultural heritage and also for what they give to people today and for future generations. Who knows how climate change will affect our food supplies but with so much of it now imported and worries regarding food security for the government and councils not to recognise the true worth of these plots of land is yet another mixed message in today’s confusing world. 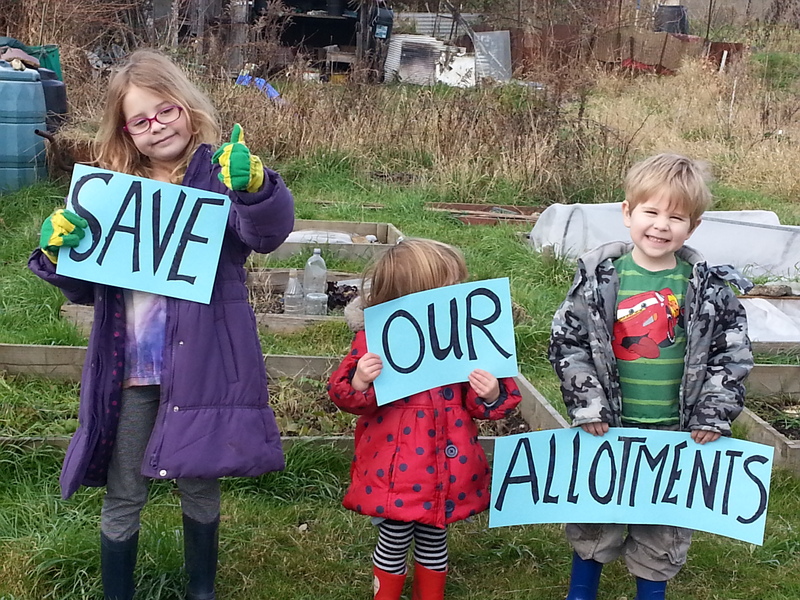 I hope so much that the action group that has been formed to save the Farm Terrace Allotments can find some way to halt the destruction of their much loved plots. If you’d like to find out more about the allotments, the story behind their campaign and to sign their e-petition please go to www.farmterrace.btck.co.uk. Much is made of the hope and optimism that the start of a new year should bring but the reality is, of course, somewhat different. Hangovers, the feeling that we ate too much over the Christmas period and the sinking feeling that January, my least favourite month, stretches out in front of us, is somewhat closer to how most of us greet the start of another year. It’s no great surprise though that as humans we love the idea of a fresh start, a clean slate and the thought that things will be different in the new year. Companies know this which is why we’re bombarded with adverts for online dating, detoxing, losing weight and holidays at this time of year. For us growers that feeling has probably never been as strong as at the start of 2013. You have to be quite optimistic to be a gardener and lets face it after last year’s summer and autumn the fact that we’re planning to pick up our spades and fill those seed trays once again is pretty remarkable. So, although January can be an inhospitable month, we know that a new growing season is upon us and we’re buoyed with hope that this year will be better than last. It would be hard not to be though. I’ve got quite a big project on my hands this year, I’m writing a book based on my allotment. So, whilst I’m excited, I’m also feeling a sense of trepidation, partly about delivering the actual book and partly that the weather is going to cause me no end of headaches when it comes to getting plants ready for their photographs. A normal spring can be stressful enough. Plans for 2013 involve a spot of replanting in my front and back gardens. Some plants have rather taken over. Yes, you know who you are, astrantia. And other spots don’t have enough seasonal interest. There’s the constant challenge of making the allotment as productive as possible. And I can’t wait to get growing in my new greenhouse. I have plans for some tomatoes, a chilli plant and possibly a cucumber. However, I don’t want to get carried away, which I think I’m in danger of and find the greenhouse is so full I can’t get in there. The impact of the weather in 2012 hasn’t dampened my enthusiasm for growing but it has made me reflect on the plants I grow. I’m not yet completely decided but I think this might be a spud free year. My plants last year didn’t do well and for the amount of space they take up I’d prefer to grow something more reliable and that is more prolific. I think, and my plans are still in their early stages, that I’m going to try to grow the crops we eat a lot of, such as bean, peas and lettuce, really well and focus less on trying new things this time. Celeriac will definitely make a reappearance and I hope to grow more Florence fennel over a longer period this time. I’m looking forward to reading about everyone’s plans for their own gardens and allotments over the coming months. So, for me, it’s the thoughts of seedlings galore, buds breaking and the first signs of spring that refresh me. Forget the detox and get sowing will be my mantra for the start of 2013. It has been quiet on the Welly front for a bit as a result of catching the lurgy. We went away last Thursday for a long weekend to visit family and drop off Christmas presents. On the way up north Wellyman started to feel under the weather and on arrival retreated to bed. Ha ha! A cunning ploy to avoid the mother-in-law you’re thinking. Unfortunately not, as it wasn’t just a touch of the sniffles, or what is otherwise known as ‘manflu’, but some virus that kept him in bed all weekend only for him to emerge in time for us to leave on the Sunday. By which point I was now feeling unwell. I wouldn’t recommend a 5 hour car journey when you’re having hot flu-like flushes and your muscles and joints are aching so much you just want to be lying down in bed. And, of course, Sod’s law meant just as home was nearly in sight a sign said the junction we needed was shut and that we would have to take a detour. When we finally rejoined the motorway we were then greeted by a profusion of traffic cones and 40mph restrictions for mile upon mile. We did finally get home where I pretty much went straight to bed and that is where I have remained all week. I caught a few glimpses of the garden covered in a beautiful hard frost but the closest I’ve got to any sort of plants this week has been the flowers on my duvet. I’m up and about now and hopefully, in a few more days, I’ll feel back to my normal energetic self. I’ve lost my sense of smell though which I’m really hoping is only a temporary situation as my dad had something similar last year and completely lost his sense of smell and hasn’t regained it. I picked some winter flowering honeysuckle from the garden today in the hope I’d be able to smell its powerful scent but no, not a thing. I did get something through the post yesterday however that made me smile. A couple of weeks ago there was a glittering awards dinner at a swanky London hotel to honour those working in garden media. Very much the preserve of those earning a living as journalists, photographers, presenters and writers, there is one category however, that is also open to amateurs, that of the Best Blog. Back in September I thought I’d give it a go and entered Wellywoman. I knew the competition would be stiff as the majority of entries are blogs written by professional writers but if you don’t enter you’ll never be in with a shot. On the day of the awards ceremony I was at home, working, but I was following the proceedings on twitter. I had hummed and hawed about going but in the end finances wouldn’t allow. I was a little envious on the day reading everyone’s tweets about what they were wearing and the excitement building. I was even more gutted not to be there when I discovered Chris Packham, a teenage crush of mine, was hosting the event. The winner of the Best Blog 2012 went to the Guardian’s garden blog and with the great array of writers they have on board this was well deserved. But then, and I can’t quite believe it, Wellywoman was a finalist. I didn’t find out until several hours after the ceremony had finished and Wellyman had a look on the website and there it was. I was pretty gobsmacked and then I treated Wellyman to some impromptu dancing around the kitchen. The other 3 finalists were Michelle Chapman for Vegplotting, James Alexander Sinclair for his blog for Crocus and Kate Bradbury for her Gardener’s World blog. Of course, as I wasn’t there, I didn’t get my certificate on the day but it cheered me and my Rudolph-like nose up when I got the envelope yesterday and opened it up to find the certificate inside. If you’d like to give it a go next year, take a look at the Garden Media Guild Awards website. We’re surrounded by glossy gardening magazines and beautiful, photograph packed books but garden photography often gets overlooked. Maybe because we are so spoilt with such stunning photographs that are just there. I bought an old gardening book the other day and the contrast between it and its black and white photographs and poor quality printing with today’s gardening books is startling. I have always loved photography right from the time I got my first tiny camera when I was about 8 and, of course, I love plants so it’s probably no surprise that plant photos are quite a passion too. I recently had to find a photo of myself and after trawling through thousands of photos stored on my computer from over the last seven years I found only a handful; there were several more of Wellyman, the rest were mainly of plants. I avidly read gardening magazines and books and yet, and I’m quite embarrassed to say this, until about 9 months ago I could have only named one gardening photographer. 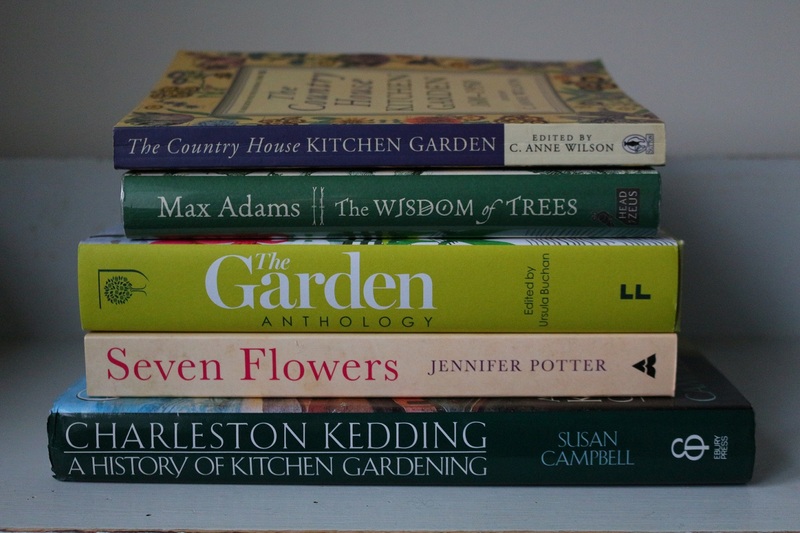 Thinking about it now I think it’s rather strange that whilst I could name quite a long list of gardening writers and journalists, the people whose work appears alongside the words had gone unnoticed. Sometimes you’ll come across a book or article that hasn’t any images and they don’t suffer for this but they will invariably have some sort of illustrations to accompany it, as if the words on their own aren’t enough and that our eyes crave some kind of visual stimulus. 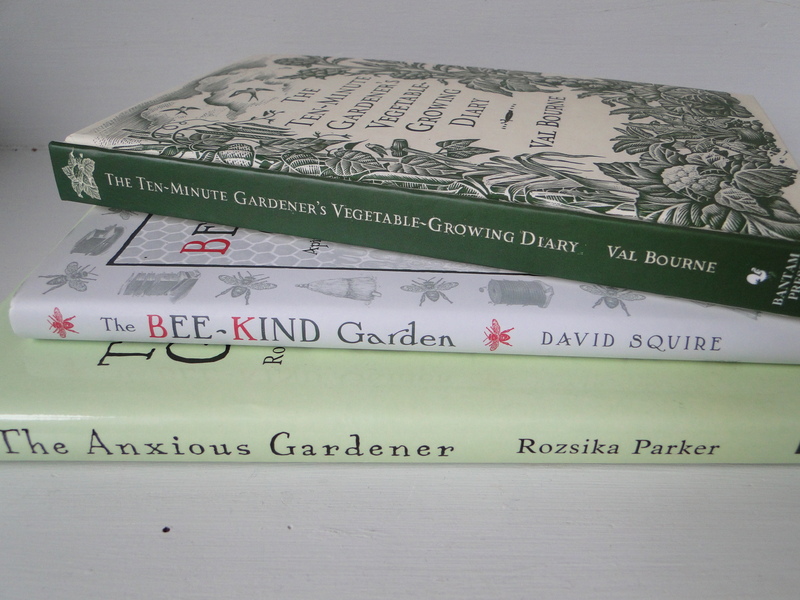 Some of my favourite books such as the collections of Elspeth Thompson’s articles for The Telegraph and the recent Gardening series by Val Bourne lack any photographs and yet I love them. However, I am a bit of a photo-addict. For instance, I really dislike recipe books without photographs. To see the prepared dish and its appearance is what makes me want to cook. As for garden writing, I’ll admit there are elements such as the heady perfume of Viburnum bodnantense which can’t, disappointingly, be captured by a camera but there is so much about plants and the spaces we create for them that is about visuals. How dull would life be without these images capturing the light glistening on grass seed heads, frost sparkling on evergreens and water droplets captured on the leaves of Alchemilla mollis? Over the last year I’ve met a few garden photographers and have had the pleasure of working with one of them. It has certainly opened my eyes to the skill that is involved in capturing the beauty of the plants we love so much. Botanical art has always been held in great regard but outside the circles of the garden media plant photography seems rather neglected and yet some of the best images really are beautiful works of art. I’m so often frustrated with my own camera skills. I have a decent enough camera but lack the technical knowledge that allows me to achieve want I really want. Occasionally, I’ll take a photo I’m really happy with but this tends to be a bit of a fluke rather than any actual skill. Certainly the right camera, lenses and other equipment that are part of a professionals kit make a huge difference but it’s not as simple as having all the gear, years of training learning to understanding light, texture and form as well as depth of field, apertures, shutter speeds and all the other terms that go over my head are all prerequisites for creating great photography. Plants have always been at the heart of photography. At the same time photography was developing in Victorian Britain so to was our understanding of plants. It’s not surprising then, that the pioneers of photography such as William Fox Talbot, Julia Margaret Cameron and Anna Atkins used plants as their subjects. The latter used a technique called cyanotyping which consisted of laying on top of photo-sensitive paper the object you wanted to capture and then exposing the paper to sunlight. The area around the material would change to a blue colour but under it would remain white leaving an image on the paper. Atkins was particularly interested by ferns. These were very basic images but must have been captivating. Cherry Blossom on the way to the plot. One of my own favourites. Today, the increasing popularity of print media has meant that plant photographs are in huge demand but when it comes to exhibitions, landscape and portraiture still come out on top. I think this is such a shame as they are certainly just as worthy of the audience. The International Garden Photographer of the Year, in conjunction with the Royal Botanic Gardens at Kew, hold a competition every year open to amateurs and professionals alike, to find the best photographers out there. Each March the winners are announced and an exhibition is held at Kew which then tours the country. If you love plants take a look at their website and I’m sure you’ll be blown away by the images on display. For me a visit is already pencilled into the diary for next year but in the meantime I’ll keep trying to improve my own attempts whilst making more of an effort to appreciate the work of the garden photographers whose images we see so much of and yet know so little about. The RHS also runs a photographic competition every year if you fancy giving it a try. If you love plants and photography take a look at a few of these photographer’s websites for some great images. They are some of my favourites. Jason Ingram, Paul Debois, Stephen Studd and Mandy Disher.